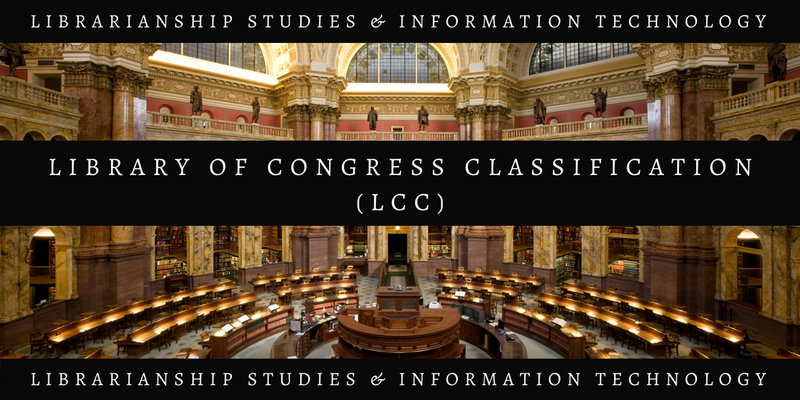 On the night of August 24, 1814, during the war of 1812, British soldiers set fire to the Capitol, and most of the Library of Congress’s collections were destroyed. Sometimes after, Thomas Jefferson offered to sell to Congress his personal library; subsequently, in 1815, the Congress purchased Jefferson’s personal library of 6,487 books. The books arrived already classified by Jefferson’s own system. The library adopted this system and used it with some modifications until the end of the nineteenth century³. 2. LaMontagne Leo E, American library classification with special reference to the Library of Congress (Shoe String Press; Hamden, CT), 1961, p. 44-45. 4. Cutter C A, Expansive Classification. Part I: the first six classifications (C. A. Cutter; Boston, MA), 1893. 5. Maltby A, Sayers’ manual of classification for librarians, 5thedn (Andre Deutsch; London), 1975, p. 175.